Migraines and Tension Headaches May All Have a Common Cause . Headaches can be very disabling and worrisome, causing fears about a brain tumor or other serious condition. Traditionally these headaches have been thought to have different causes and they are usually treated differently. 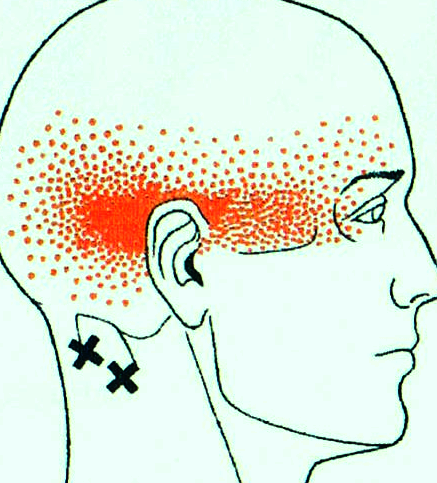 However, many doctors in US now, believe that myofascial trigger points (hypersensitive areas in muscles) may be a factor in all types of headaches. 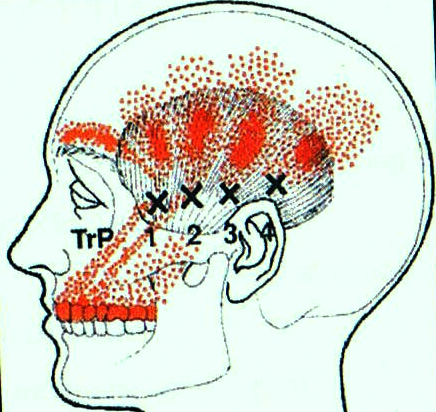 Even if you don't think you have such trigger points, you may be wrong. Many migraineurs have noticed soreness in their scalp or facial muscles and people diagnosed with tension headaches are often aware of having a stiff neck or shoulder trouble, but often the trigger points can be in a muscle you would not associate with headaches at all. The most insidious thing about myofascial trigger points is the way they can refer pain - always in a predictable pattern, but most doctors don't know these patterns. A trigger point in the back, shoulders and chest can manifest as headaches, even in the absence of pain in the affected muscle. 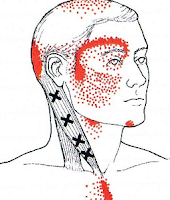 Myofascial trigger points are luckily treatable. 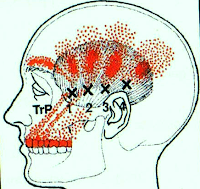 Studies show that various trigger point treatments can significantly reduce headache frequency, intensity and duration. Once you find the trigger points you can apply acupressure or self-massage into them. 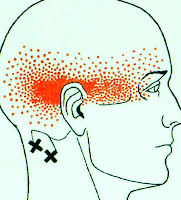 With Physiotherapy you can get better treatment for headache.